As summer begins, it’s time to experience some family fun adventures. 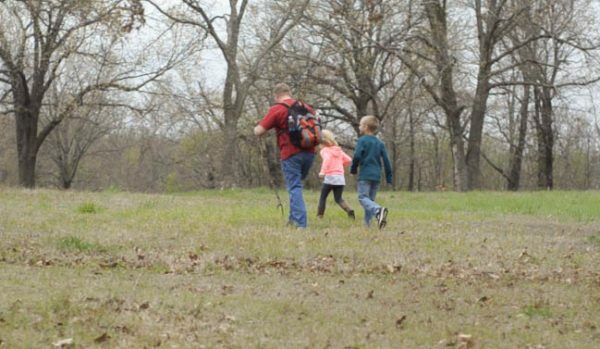 A frugal family adventure is a family hiking day. 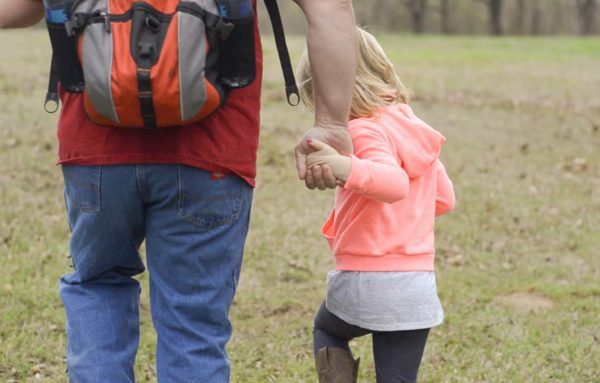 First, be sure to grab these 5 Essentials for Family Hiking Day Trips! 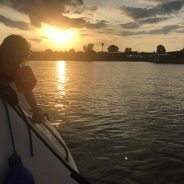 It’s nearly summer and for us that means trying to come up with lots of fun activities for us and the kids that are frugal too. Those activities add up, don’t they? 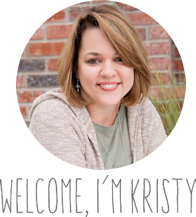 From summer camps to swim lessons and vacations, they add up quickly. 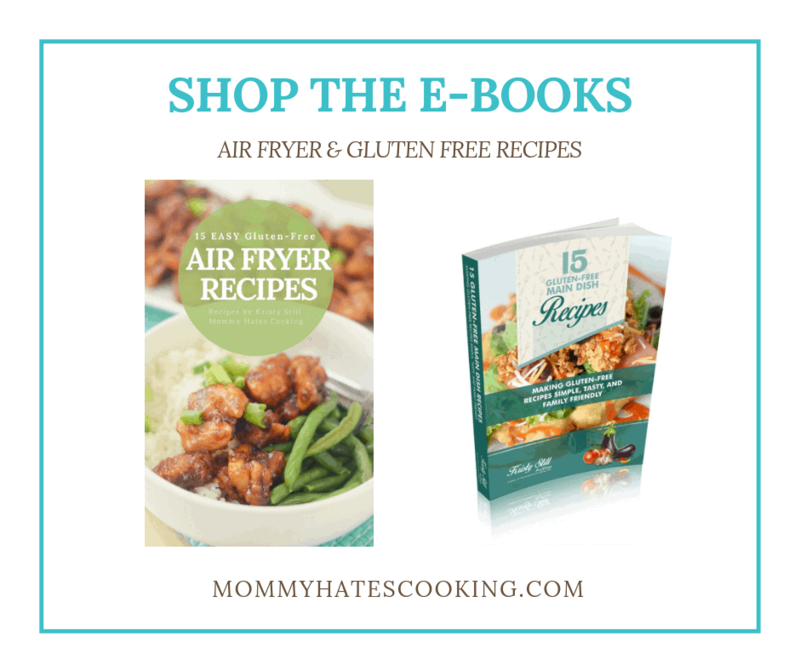 I have found that a great way to balance it all is to add in some frugal activities too. 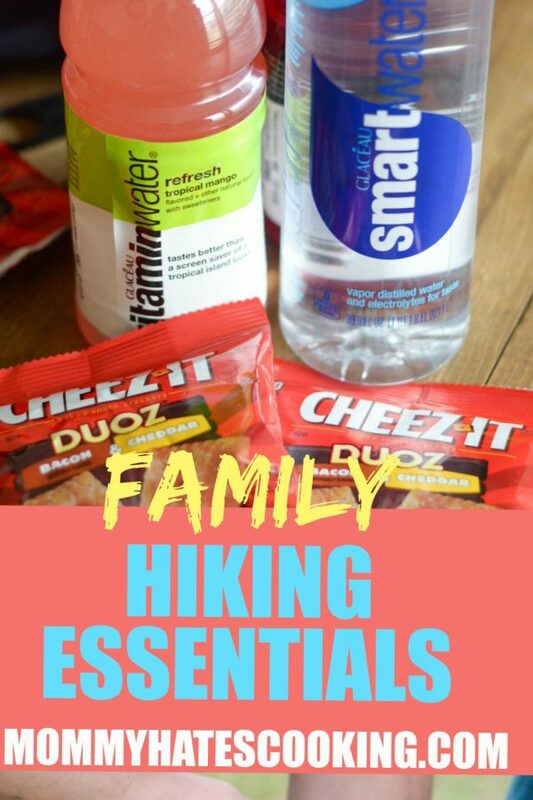 One of our favorites happens to be trips to the hiking trails in our area, which leads to these essentials for family hiking day trips. We actually hadn’t even thought of doing a family hiking trip until we moved into our last house. The house backed up to a nature park. I have lived in this area my entire life and didn’t know that we had a nature park right near us. How is that possible? 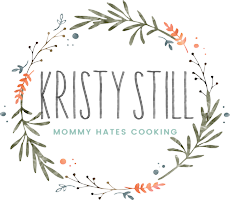 It’s gorgeous there in all seasons, they even have a little nature center that is a great stop for the kids too, plus even better – it has clean bathrooms. All the moms know that is a must! The best part is that it’s completely free and the kids can spend hours there exploring all the nature park has to offer. 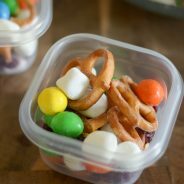 We like to make a day of it and pack a picnic lunch to take along with us then head out to explore and go for a nice little hike as a family. 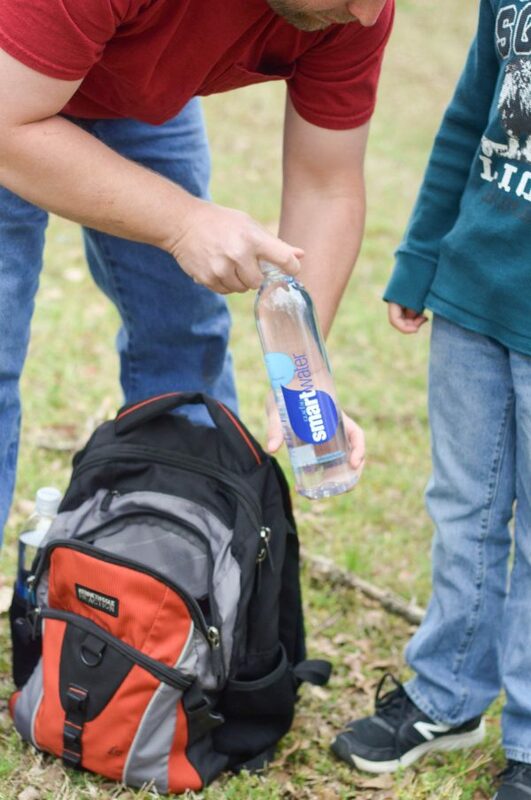 Of course, when you go hiking, especially with kids, there are some essentials you have to consider bringing too. 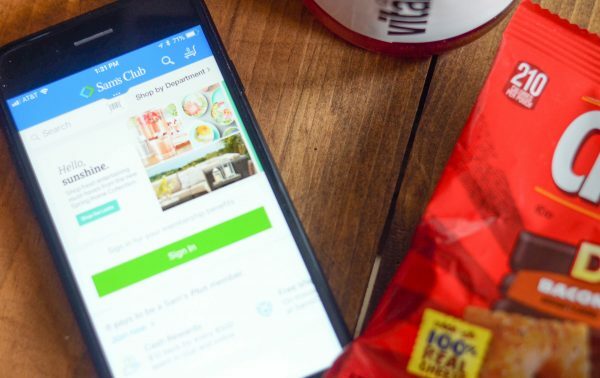 I like to order online at Sam’s Club, then head over and pick up all that we need. 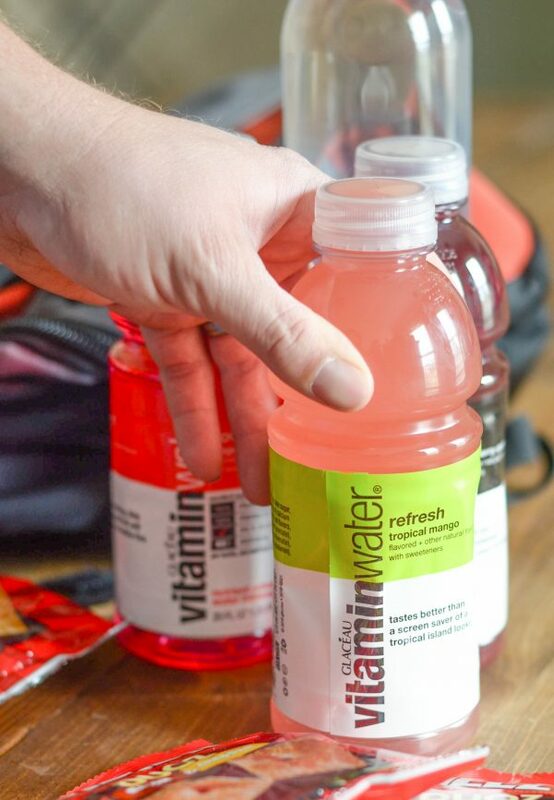 I added smartwater® and vitaminwater® to my list this time. I actually decided to keep those on stock all throughout the summer as we go to the lake often too. That means we can easily grab some out of our fridge and stock the cooler. I love that I can get enough to last us a while by shopping at Sam’s Club. The in-club pick up is my favorite option when it comes to shopping with kids. I can walk in and grab my purchase and go! 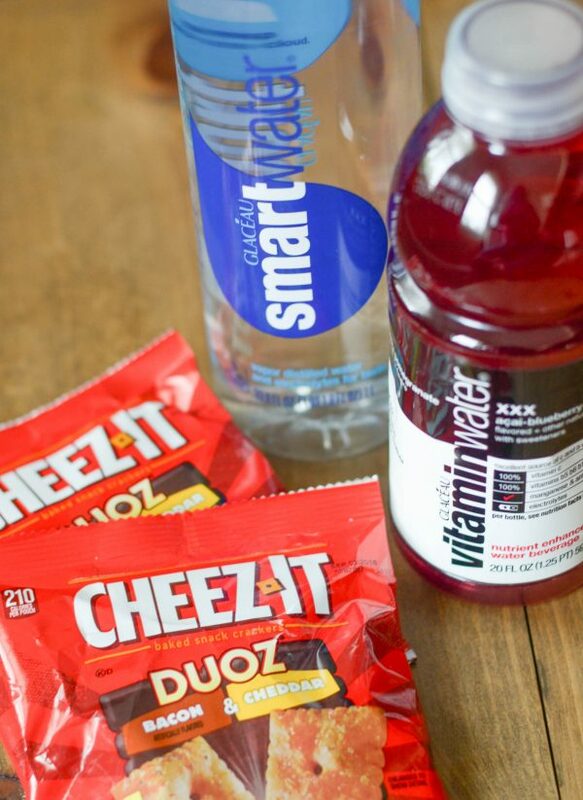 Along with the drinks, I usually will pick up a variety of snacks there, too, like Cheez-it® Duoz These are my daughter’s favorite, so I like to have those on hand. 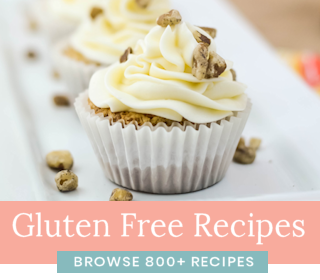 They are also the perfect portion size and easy to pack. My husband is typically in charge of the packing, while I get everything laid out and ready to go, plus getting sandwiches made too. Sandwiches are our go-to for hiking. They are just simple and they do not necessarily have to be kept cold, either, which is a benefit. I’d say our favorite hiking trip was last summer. We went to Indian River, Michigan to visit family for the week. 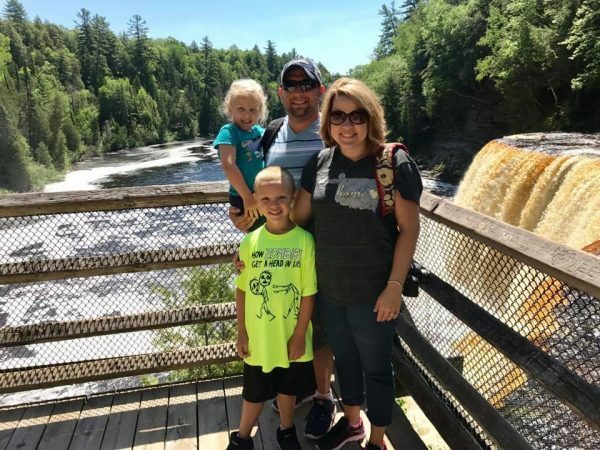 Since we were so close already, we headed further north to Tahquamenon Falls. We kept all of these essentials in mind and trekked through the park there to the beautiful waterfalls. It was certainly gorgeous and well worth the hike. 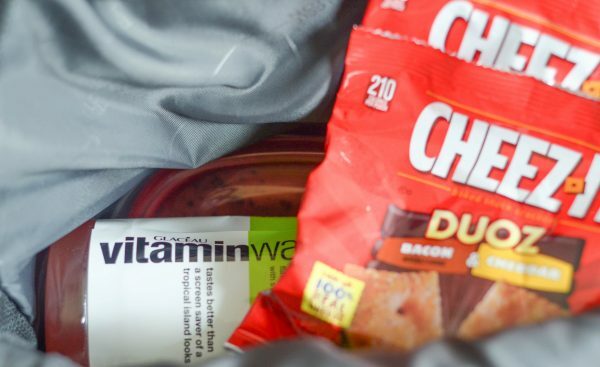 Now, you have a great idea to go on a family hiking day trip, but what do you bring? Let’s get to the essentials! 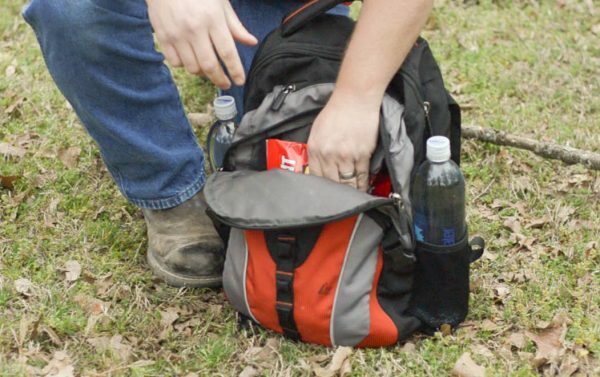 Lots of fluids – It’s vital to pack lots of fluids for family hiking day trips, especially if you are like us and it’s typically very hot outside when you go hiking. 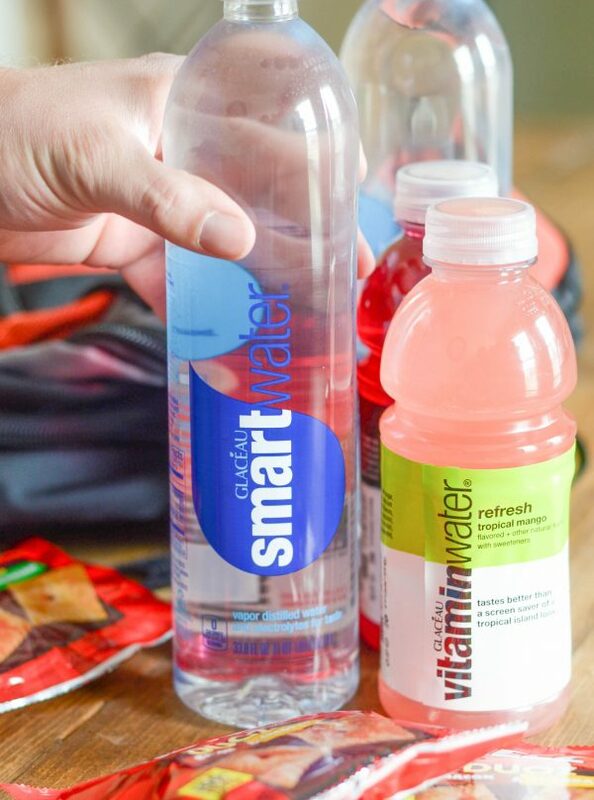 We pick up smartwater® and vitaminwater®, which happen to be full of great nutrients to keep us hydrated throughout the day. 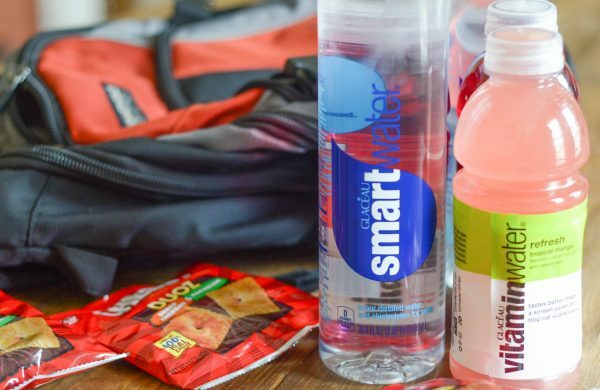 Food & Snacks – If you plan to stay for lunch, it’s best to bring food and snacks like Cheez-it® Duoz and fruit that can easily be packed in a backpack and kept fresh all day. First Aid Kit – Especially if you are hiking with kids, it’s always a good idea to bring a first aid kit in case there are any bumps or bruises along the way. Sunscreen – This is a must, especially as it heats up in the summer. Be sure to keep applying that sunscreen so that you can hike without getting a sunburn! Bug Spray – Hiking typically means wearing long pants, but also a coat of bug spray is a good idea too. Sometimes hiking means walking through trails with ticks and lots of mosquitoes, too, so it’s best to be prepared. These are the 5 Essentials for Family Hiking Day Trips that we keep in mind, what would you add to the list? Now, it’s time to get ready for the perfect family hiking day. Be sure to pack a great picnic lunch and enjoy the day with the family. never go for hiking without these things, great post!